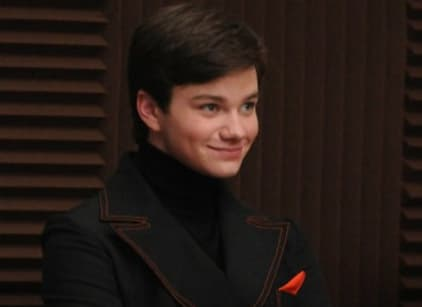 There weren't many huge developments this week on Glee, but that doesn't mean it wasn't a great, entertaining hour of TV. It was based around two pairings, as Will assigned members of the club to sing ballads to and with each other. First: Will and Rachel. She developed an inappropriate crush on her teacher. We can't blame Rachel, considering how cute Will is when he sings. This led Will to recount the story of Suzy Pepper, the last student to crush hard on him. Played by Sarah Drew, Suzy ended up giving Rachel advice at the end, telling her they are both mildly attractive and possess low self-esteem. That's why they fell for someone they couldn't have. By the end of the hour, Will had let Rachel down easily and Rachel had moved on. Kurt and Finn were also paired up. This was another example of unrequited love, as the former told viewers about his long-time crush on the latter. Kurt might never have Finn, but he could at least help inspire him to open up about his feelings. He told Finn to sing out the truth to Quinn's parents about her pregnancy. Finn did - and the Fabrays kicked Quinn out of the house. It was a sad scene, made slightly better when Finn's mom said Quinn could live there for as long as she needed to. Quinn also felt better when she arrived at school and the glee club sang "Lean on Me" to the expecting parents to show support. Well, sort of to the expecting parents. As we know, Puck actually knocked up Quinn. He admitted this to Mercedes, who advised him to keep his mouth shut because she made her choice and it's Finn.